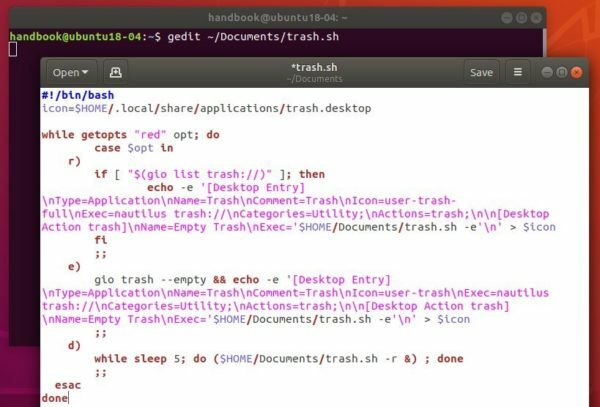 While the trash icon does not have ‘Add to Favorites‘ context menu option, here’s how to manually add a trash can icon to the left launcher in Ubuntu 18.04 Gnome Shell. 1. Open terminal either via Ctrl+Alt+T shortcut key, or by searching for ‘terminal’ from app launcher. 4. Search for ‘trash’ in software launcher and select ‘Add to Favorites’ in its context menu. Type a name for the trash script. 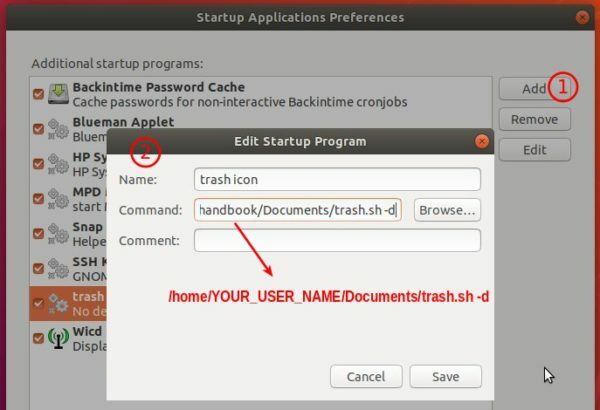 Reboot Ubuntu, and the trash can icon will change when it’s empty or not empty. Ji I did the translation here for my language (Brazilian) and it was perfect. Thanks you for tutorial, but can we replace the “show applications” button to Trash? That’s not easy as “show applications” button is hard coded. Try Dash to Panel or Dash to Dock extension (both available in Ubuntu Software) to replace the left panel if you don’t like the button postion.